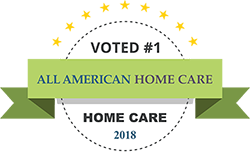 All American Care is proud to be the trusted agency on aging in Pennsylvania (PA). We know that it can feel overwhelming to find an agency on aging for you or your loved one. It’s an emotional decision and one that you need to feel confident about! While there are many options and alternatives, it’s important to work with an agency with experience and a proven history of success. That’s why we’re proud of the top agencies on aging in Pennsylvania! When looking at a home health care agency or agency on aging, you will want to take a look at a few major factors. One of the biggest things to look at is the level of personalization and customized plans that you can get within an agency. Look at how much the staff coordinates with not only the family and patient, but also how much they communicate with your doctor. Another important factor to consider is what your coverage will look like. Since so many insurance plans are unique, you will want to make sure you have the appropriate coverage for an agency on aging and in home care options. Another important consideration is the types of services that are offered and if they fit your specific needs. Our team of healthcare experts can help you and your loved one in so many ways. Learn how our thriving agency on aging is helping people in Pennsylvania every single day!